How do you plan for promotional inventories? The goal is to increase inventory amounts at the right locations to meet service goals and maintain additional inventory until the end of the promotion. After the promotion ends, the inventory should be back to the basic inventory level needed to meet service. The key piece being how to reduce inventory at the right time during the promotion to avoid lost sales and maintain service goals after the promotion without being overstocked. 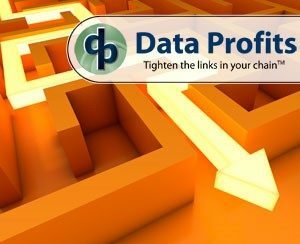 If you have a sales and ERP system that can track the actual life of the previous promotions and you have a event based forecast algorithms in your replenishment toolbox, then all is well in your world, maybe….there are some other pieces that can help your business and this month we highlight a few ideas for you. You’re very familiar with the importance of promotions, how they can make or break sales figures for the quarter or even the year. But an extremely successful promotion brings to light a challenge: Inventory Replenishment. While we often think of general retail for sales events to model, it is the grocery industry and their weekly promotions that highlight the pain in the promotion link of a supply chain. Let’s take a look at the root of the problem, and how the challenge can be overcome with ingenuity and technology to give you an edge over your competition. 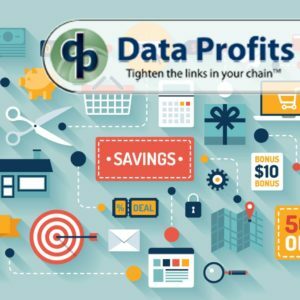 "Data Profits iKIS was developed after years of inventory consulting with over 200 customers. Working with C level executives at many retail and wholesale establishments, we developed our unique and highly configurable BI dashboard, collaboration, and analysis software platform which provides demand forecasting, replenishment, lead time forecasting, optimization, and order management.". All content provided on this blog is for informational purposes only. The owner of this blog makes no representations as to the accuracy or completeness of any information on this site or found by following any link on this site. The owner will not be liable for any errors or omissions in this information nor for the availability of this information. The owner will not be liable for any losses, injuries, or damages from the display or use of this information.This policy is subject to change at anytime.